Join us the first Wednesday of every month for extended hours. 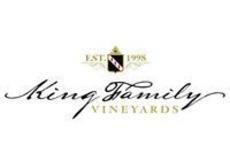 Grab a glass of your favorite King Family Vineyards wine and enjoy local food and music as the sun sets behind the beautiful Blue Ridge Mountains. Food will be served by various food trucks, and there will be live music to enjoy. We are open each Wednesday evening until 8:30pm.